Boys & Girls Clubs of America is a national organization that serves local independent member organizations (the "Local Boys & Girls Clubs"). Together Boys & Girls Clubs of America and the Local Boys & Girls Clubs form one of the nation's largest networks of local youth organizations dedicated to promoting the health, social, educational, vocational and character development of youth throughout the United States of America. Each Boys & Girls Club organization is a separate legal entity; is governed by an independent board of directors, executive committee or other governing body; and is solely responsible for its own affairs, including, but not limited to, matters of safety; compliance with federal, state and local laws; physical facilities; uses of technology, finances; policies and programs and personnel policies and decisions. Each Local Boys & Girls Club has sole authority to hire, to terminate, to prescribe the duties of and to establish the terms of employment of its employees and officers. The national Boys & Girls Clubs of America has no authority with respect to employment policies or decisions of Local Boys & Girls Clubs. Accordingly, each Local Boys & Girls Club controls its own affairs and Boys & Girls Clubs of America does not control and cannot be held responsible for the actions of Local Boys & Girls Clubs. Likewise, Boys & Girls Clubs of America controls its own affairs and the local Boys & Girls Clubs do not control and cannot be held responsible for the actions of Boys & Girls Clubs of America. Boys & Girls Clubs of America (“BGCA”) believes in safeguarding personal information and ensuring that privacy is respected and protected for donors, local Boys & Girls Clubs, all youth, volunteers, vendors and members of the Alumni & Friends Association. We will use personal information to keep donors, friends, vendors, volunteers and alumni informed of our activities including our programs, special events and funding needs. We respect all requests to remain anonymous. We will always provide an “opt-out” procedure for donors and others who receive such materials to request that their names be deleted from similar mailings, phone calls, faxes or electronic communications in the future. 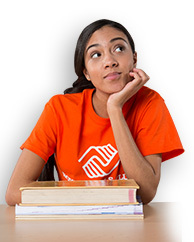 Donors, friends, volunteers and alumni may contact BGCA at any time and we will gladly accommodate your preferences. Individuals may choose to opt out of electronic communication including emails and faxes. Individuals may also request that their record be flagged as “Do Not Call”. BGCA will honor all or a combination of these “opt out” preferences. BGCA may share donor names and mailing addresses with other reputable nonprofit organizations on a limited basis in exchange for limited access to the names and addresses of their constituents. We have found this is a cost-effective method of reaching additional potential constituents. These organizations will not have continued access to your name and address unless you choose to respond to their initial mailing. We do not share email address data in connection with this list exchange. We respect our donors’ choices and control over their information. You, as a donor may, at any time, have your name excluded from any donor list exchange activity. To ask that your name be excluded from list exchange activity or to otherwise change how BGCA contacts you, please email us at donor_relations@bgca.org. From time to time BGCA will share donor or prospective donor information with Clubs to ensure collaborative efforts. If an individual requests that information be shared with a Boys & Girls Club then BGCA will comply with their wishes. 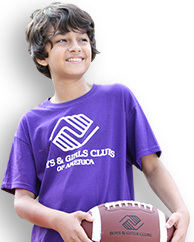 BGCA never sends out mailings on behalf of other organizations. BGCA expects vendors to uphold privacy guidelines. If data is shared, a Non-Disclosure Agreement will be entered into with the vendor and the sharing of data is prevented by contract stipulations that are present in contacts between BGCA and our vendors. BGCA collects personal data through event registration, email subscription, online donation services, postal mail, wire transfer, phone and other electronic means. We only collect this information when users submit it voluntarily or through the public domain. If a user prefers not to submit such information online, they may contact BGCA to determine an appropriate channel to transmit this information. From these services, we may collect a person's first name, last name, email address, company, position, secondary email address, address, city, state, zip code, and phone numbers (home, work, or mobile). We may collect event-specific information pertaining to a person's attendance, meal preferences and guests. We may collect the provided name and email of a spouse, contributor or foundation to facilitate the recognition for a gift. This confidential information is kept on file for IRS purposes. Wire transfer information received and processed by BGCA is stored in Serenic. Serenic is a leading publisher of financial management and business operations software for nonprofits, international non-governmental organizations (NGOs) and the public sector. The Corporation is a Gold ERP and Gold ISV vendor and a development partner for Microsoft. BGCA will maintain an electronic record in our database of all requests for discontinuance of contacts. Oral requests will be recorded in writing by BGCA staff and will then be permanently recorded in the electronic donor database. Donor information is maintained in a password-protected, secured database. Only authorized personnel have access to this information and only for appropriate business purposes. This information is shared with board members and authorized staff, only on a confidential and need-to-know basis. IP addresses - BGCA may also collect IP addresses, domain names, and similar items regarding users of this site to measure the number of visits, pages visited, average time spent on this site, and similar items. BGCA may also use your IP address to diagnose problems with our server, to administer our website and for statistical metrics used to track website visitor traffic. Credit Cards - BGCA is compliant with The Payment Card Industry Data Security Standard (PCI DSS). This is a set of requirements designed to ensure that ALL companies that process, store or transmit credit card information maintain a secure environment. Essentially this includes any merchant that has a Merchant ID (MID). The Payment Card Industry Security Standards Council (PCI SSC) was launched on September 7, 2006 to manage the ongoing evolution of the Payment Card Industry (PCI) security standards with focus on improving payment account security throughout the transaction process. The BGCA finance department manually processes credit card refunds. At all times efforts are made to protect card numbers. The PCI DSS is administered and managed by the PCI SSC (www.pcisecuritystandards.org), an independent body that was created by the major payment card brands (Visa, MasterCard, American Express, Discover and JCB). It is important to note, the payment brands and acquirers are responsible for enforcing compliance, not the PCI council. A copy of the PCI DSS is available here. BGCA does not store credit card numbers. Credit card refunds are processed under strict guidelines. BGCA publishes a list of the names of donors over a designated amount in an annual report. Options for anonymous giving and “opt-out” selections are available. Please contact BGCA for these requests. Any data maintained by BGCA related to local Boys & Girls Club affiliates is considered confidential and proprietary and will not be shared with third parties without permission. BGCA follows the standards set forth above to protect any data received as a result of dues or other payments to BGCA. BGCA does not intend to collect personal information from children under the age of 13. While we encourage children to visit our site and learn more about our programs, we recommend, however, that parents approve and closely supervise the activity of their children at this and all other online sites. We urge children to check with their parents before entering information on any website and we urge parents to discuss with their children restrictions regarding the online release of personal information to anyone they don't know. BGCA will not use pictures or names without a signed consent form. BGCA currently requires a signed parental/guardian release when utilizing children's stories for fundraising or marketing. BGCA may use the story of a child and use a fictitious name to protect their privacy. BGCA may utilize a system to collect information about guests that are seated at event tables. This information may include name, email, company and address. Guests may follow the “opt-out” options outlined in this policy. If data is shared, a Non-Disclosure Agreement will be entered into with the vendor and the sharing of data is prevented by contract stipulations that are present in contacts between BGCA and our vendors. We do not authorize these service providers to use or disclose the information except as necessary to perform services on our behalf or to comply with legal requirements. BGCA may also occasionally ask users to complete surveys for research purposes. There also may be services on our website that require you to fill out an online form or send BGCA an e-mail message in order to utilize these services. BGCA collects any information that you provide in such circumstances, including any personal information. Some corporations support BGCA through employee giving programs and campaigns. Generally these are managed by the corporation and are processed through payroll deduction. BGCA seeks permission from the corporation before adding any employees to the BGCA database. BGCA may share cumulative giving totals, but will not share individual donor/employee names. Employees may participate in matching gift programs with their employers. Matching gift requests are sent to the corporation for processing with the knowledge of the employee and the appropriate paperwork. The BGCA Human Resources department ensures that all documents and paperwork that contain personal information, including social security numbers are protected at all times. The primary storage area for all personnel records is a confidential file room which is located in the BGCA Human Resources department. This room also has a confidential fax and is only accessible by BGCA HR staff. All BGCA Trustees and BOG members have annual background checks that are processed by the BGCA Human Resources department, yet an external third-party specialist company actually runs the background checks. All BGCA employees undergo annual background checks. Boys & Girls Clubs are required to run annual background checks as well on their employees and volunteers, and they may use several options, including the local Police Department or one of the professional external third-party companies that specialize in this area. 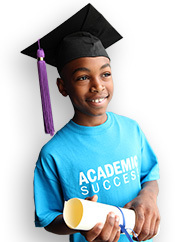 Completed BGCA employment applications are received and hosted through iCIMS. This data is accessed through a protected web portal accessed only by Human Resources staff.